Treat students to the best and most comprehensive foods textbook with Glencoe's Food for Today, based on the latest research-based nutrition to develop lifelong heathy eating habits! Numerous illustrations, step-by-step activities, and visualization of correct portions are included. 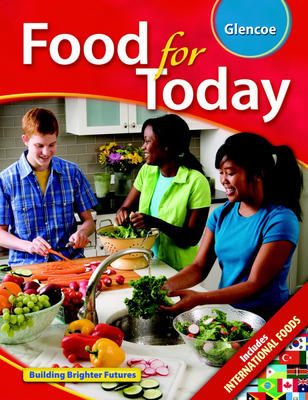 Treat students to the best and most comprehensive foods textbook with Glencoe's Food for Today, based on the latest research-based nutrition to develop lifelong heathy eating habits! Numerous illustrations, step-by-step activities, and visualization of correct portions are included. All new FACS standards for the foods classroom are met. Focus on food prep and kitchen basics include kitchen tools, safety, and sanitation. Topic-related and point-of-use academic integration with Science in Action and Kitchen Math features help teachers meet Perkins mandates. 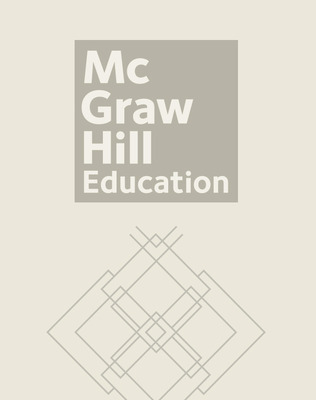 English language arts and writing activities correlated to national standards. New and revised focus on light and healthy recipes. Activities that develop consumer savvy about food choices, nutrition, and keeping a grocery budget are incorporated. Hands-on Kitchen Lab and unit-long projects reinforce concepts through application.